The Instagram based contest encourages photography enthusiasts to discover their creativity and upload photos to Instagram using the #VWSnapshot hashtag along with their chosen category hashtags. The categories for this year’s competition are ‘Design’, ‘Light’, ‘Roadtrip’, ‘Technology’ and ‘Volkswagen.’ For a full list of details and categories, visit VWsnapshot.ie or see Volkswagen Ireland’s page on Instagram. This year there are some fantastic prizes including a trip to Barcelona. Other prizes include an escape to Bubblehouse, Finn Lough, drones and premium photography lighting equipment. 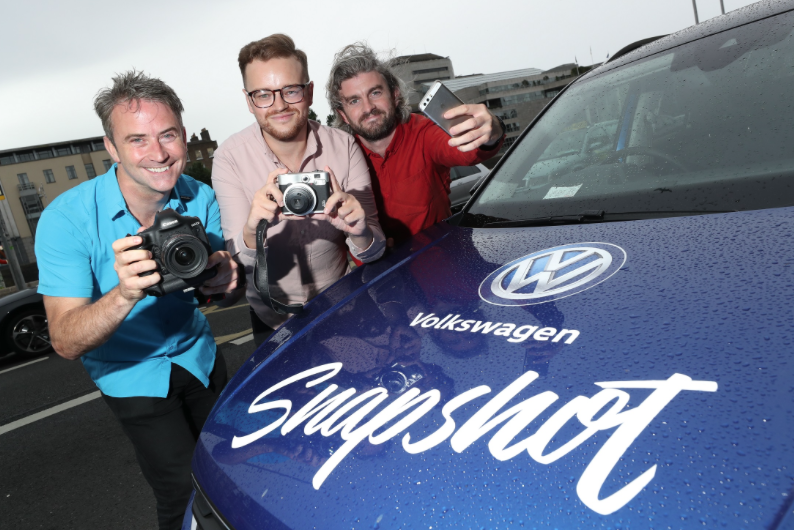 Twelve entrants will feature in the 2019 Volkswagen Snapshot calendar, the sales proceeds of which will be donated to Volkswagen Ireland’s 2018 charity partner Focus Ireland. Earlier this year, €3,000 was raised for Pieta House through sales of the 2018 Snapshot calendar. Sinead Price, Co-Director of Fundraising and Marketing for Focus Ireland commented; “Last year was the worst year for homelessness in the history of the state. More men, women and children experienced homelessness than ever before in our history. There are 9,652 men, women and children homeless across Ireland, up from 3,258 in July 2014, that is a rise of 548 people since January 2018 alone. The Snapshot 2018 launched at Baggots Hutton on Wednesday 13th June, where a pop-up gallery of last year’s winning entries was on display.